When I bought my second hand PS3 back last year, I bought it with the intention of playing some games that I had never played before because I had never owned a PS3 before. There were three games/game franchises in particular that I wanted to play; Uncharted, Journey and The Last Of Us. I bought The Last Of Us at the same time that I bought the PS3. At which point, the guy behind the counter at GAME proudly exclaimed it to be “The greatest game ever made!”. It’s hard to ignore the hype that comes with The Last Of Us. It’s repeatedly referred to as one of the greatest games of the last console generation. So I was hesitant about jumping into this game…so much so that I left it six months before popping it into my PS3. The first thing that struck me when I started playing The Last Of Us was the pretty darn good graphics. Even for a game on the last generation, it looks good. The last PS3 game I played before this was Heavy Rain and that looked like crap compared to The Last Of Us. Yes yes, there’s a three year gap between the two games but it’s the same hardware. Naughty Dog squeeze every ounce of power out of the PS3 to fill their world with murky greys and browns that are punctuated by the lush green of foliage and lighting makes the world dead…but beautiful. The graphics extend to the characters faces both in cut scenes and actual game. The faces of the Joel and Ellie are brought to life in such great detail with minimalist expressions being brought to life. I don’t know if this was all coding or mo cap but it looked great. How you play The Last Of Us depends on you. As you progress through the game, you will come across vicious sprinting zombies and aggressive feral-like humans. You can take the stealthy approach, use cover to your advantage or go guns blazing which is great up until you run out of bullets (quite a common situation). Stealth is the best way to go which creates tense situations as you sneak past zombies hoping not to make enough noise to attract their attention or navigate through a group of men on patrol, all armed to the teeth with shotguns. I admit, it can be quite exhilarating especially when you’re low on supplies and know that just one more bullet will mean game over. Unfortunately the AI can be a bit hit and miss sometimes. I often found myself moving from one cover to another and in the eyesight of a guard who just seemed to miss me completely. Or I would be strangling one guy to death while his buddy round the corner is oblivious. In a game where supplies can be scarce, searching and scavenging is encouraged. As a guy who likes to search every nook and cranny of every room or corridor, it’s nice to know that my habits are rewarded in this game. Although as you make your way through the game, you’ll find that your reliance on these extra supplies will wane. For me, the best thing about The Last Of Us is Ellie and Joel. I think that’s pretty much what everyone else who has reviewed the game, says about it. They’re right. Joel is the miserable black hearted miser. A man without a place in the world, who goes day to day doing shady business in order to stay alive in whatever is left of humanity. Meanwhile Ellie is the young woman who has grown up in the post apocalyptic Hellhole. She doesn’t know what life was like before the outbreak that begins the game, where girls worried about cooties, rode their bikes down the field and just being a kid. 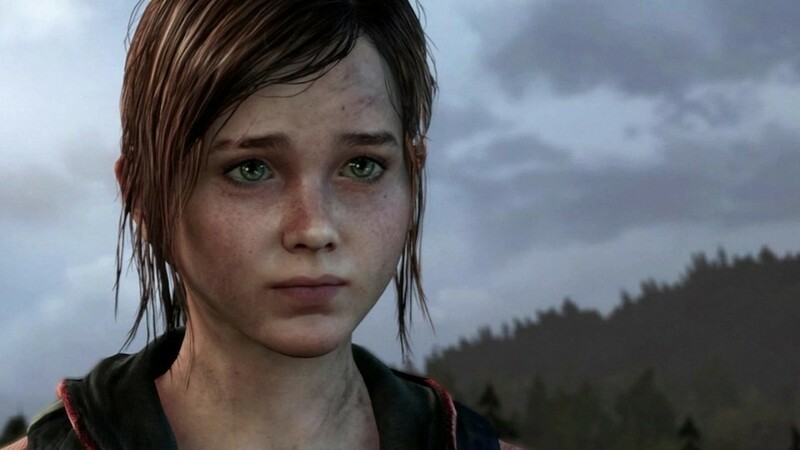 Ellie is the heart of the game who slowly breaks through the cold exterior of Joel. Ellie is so well realised, she’s a great game character. While actually playing the game, she does have her problems. She’s supposed to follow Joel, but sometimes I found that she would wander a little to the extent where she would cross an enemies eyesight. It breaks the immersion a bit. But one thing I liked about Ellie was that as the game goes on, Ellie has more agency. At first she is just a silent bystander, getting into trouble. But gradually she becomes more active and starts to fight alongside you. At one point, an enemy got the drop on me and started hitting me with a baseball bat. Then suddenly Ellie jumped on his back and stabbed him in the neck. It was great! Unfortunately, the power of Joel and Ellie doesn’t extend to the rest of the characters in the game. You meet various people along your path and they’re mostly forgettable. If you asked me, in two weeks, to name the rest of the characters. I would probably struggle. As soon as someone entered the story, I was just waiting for that person to leave so that it was just Joel and Ellie again. Some of the best moments in the game are when Joel and Ellie are walking alone with no action and they’re just talking to each other about random little things. It was nice and added a little depth to the characters. I’ve said mostly positive things about this game which I think is a fair reflection of the game for me but I admit, it took a while to get going. I played through just under halfway through the game and was struggling to care. I took a month from the game before coming back to it determined to finish it. Things started to click then. If there was one thing I wish I could change about this game, I wish I could take the zombies out. There’s nothing particularly original about them. They see you, they charge at you. Simple as that. I had more fun and tense situations when I came across humans instead. Taking on three at a time is easy in most other games. But in The Last Of Us, it can be a challenge. Despite their shortcomings in detecting you, once they do engage you, they are surprisingly smart. They charge you, they flank you and they use cover wisely. Often, they forced me to retreat in the hope of starting my method of attack again. Killing them was pleasantly enjoyable as well (gee, don’t I sound like a psycho, there?!). Crushing their skull over the head with a pipe has a satisfyingly grim conclusion or managing to shoot them in the head with a hunting rifle gives a nice satisfying death animation. Every kill has a bit of weight to it which I liked. The Last of Us is hailed as one of the best games ever. I disagree with that sentiment. However, I can’t say I didn’t enjoy the game. It started off as a bit of a slog but gradually, everything came together into a tense atmospheric tale of two unlikely people bonding together. It has it’s flaws, the gameplay has it’s quirks which can sometimes detract from the immersion. Yet, I can understand why this game has it’s passionate fan-base. I hope the sequel cleans up the gameplay, puts more emphasis on how humans have receded to their animalistic nature and delivers another great story about Joel and Ellie.